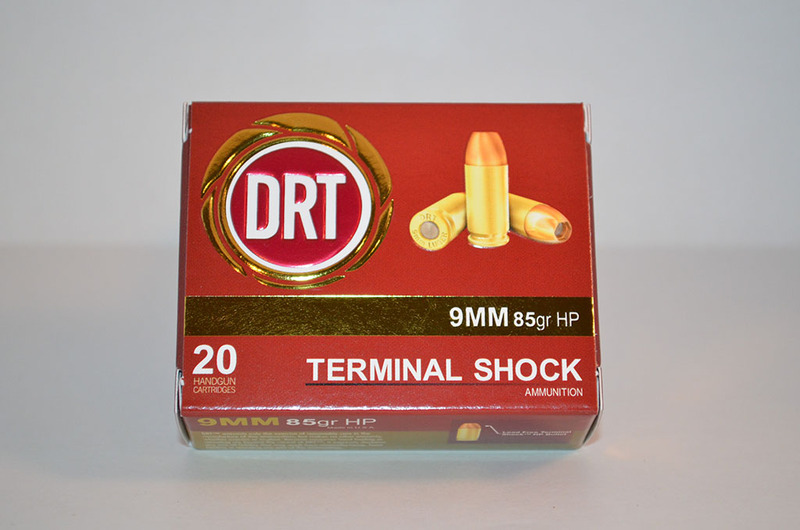 ***+P version of the 9mm 85gr Terminal Shock*** The + P version of our 9mm 85gr Terminal Shock has higher velocity and pressure. This extra velocity allows the use of a heavier or stiffer recoil spring that are in some of the newer pistols. Running the +P ammo in these types of pistols allows the pistol to function flawlessly with a very light bullet like an 85gr Terminal Shock. Very light felt recoil allows the shooter to have faster follow up shots as well as better accuracy. 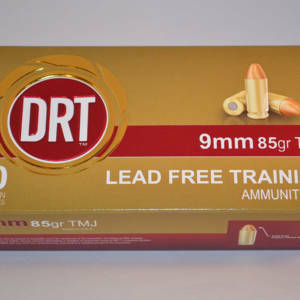 In tests, the DRT 85 grain 9mm bullet penetrates semi-hard barriers like sheetrock, plywood, car doors, bone and most glass, then still performing well passing through clothing and into the gelatin test block. Utilizing a Hollow Point Flat Based (HPFB) design, the bullet is engineered to delay its expansion 1-2 inches before the jacket begins to peel back exposing the core. Penetration is 11-12 in ballistic gelatin with a wound cavity is typically 3 in diameter with complete fragmentation of the core.